Floreant POS is an open source POS application by Orocube LLC. It is a project by the company that started out eight years ago. Since then, it has grown into a POS system that can support commercial, third-party plugins. Floreant POS is so robust that it can run on a variety of platforms such as Windows, Mac, and Linux. It is even programmed for simple computers like Raspberry PI. It is also very flexible that it can be customized to suit a business’ needs. They can enhance the system by adding plugins or by adding more features. Establishments can do the latter by themselves but Floreant POS offers this service to ensure that the system will still run smoothly after the deployment of changes. Further, Floreant POS was designed with restaurants and hospitality establishments’ needs in mind. But the system also supports usage by educational institutions and retail stores. 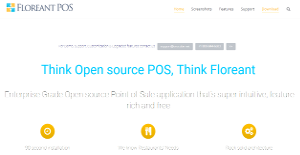 The best thing about Floreant POS is that it is open source, therefore it is free. Even succeeding updates to the system can be acquired without having to pay a fee. This is especially helpful for restaurants and other businesses that are just starting out. Floreant POS is unlike other systems that have to be installed in a system. Once downloaded, a user only has to unzip or extract files from a compressed file to start running the POS application. Floreant POS is well-known among its users for being stable. The app does not crash, therefore business will not be interrupted by system glitches like being unable to read cards during payment. Floreant POS users laud the application for its user-friendly interface. The system is not difficult to navigate, therefore all staff members can operate it with no trouble. Floreant POS can also be turned into a mobile POS system. It can run on tablets that support Java configuration and even on devices that have low specifications. This gives staff more mobility around the restaurant so they can cater to more customers. Floreant POS may be a small system, but it is robust that it comes with a back-office manager. Because of this, businesses can organize their services offered and in the case of restaurants, even show cooking extractions. It can even handle time-limited discounts. This way, establishments can offer only the best services. The POS application supports different dashboards for different types of employees. For example, a host or server only has access to table management and kitchen management features. Meanwhile, a manager would be able to conduct a drawer pull and generate a daily sales report. The system tailors user access and permissions and logs the activities off each user, especially when it comes to the amount being removed from the cash drawer. This reduces theft ensuring that businesses survive with their profits. Once an order is keyed in, specific cooking instructions are sent to the kitchen, such as guest requests. Through this function, the kitchen can avoid mix-ups when it comes to orders and also meet customer expectations. Furthermore, Floreant POS allows restaurants to track kitchen wastage, so that they can better manage the food and plan to reduce or eliminate waste. In the case of bars, creating tabs is made easier. Floreant POS tracks beverage orders and makes them easily recognizable by naming them. This makes the bar more efficient in handling tabs. With Floreant POS, establishments can accept a wide range of payment types. Cash terminals linked with the POS system are able to receive magnetic cards, partial payments, and even calculate discounts and accept gift cards and coupons. Through this function, establishments are able to serve more customers who prefer to pay in different manners. The system also aids businesses in keeping in line with tax regulations. Floreant POS calculates for different kinds of taxes, especially for UK and EU restaurants, to ensure that the customer pays the right amount. Floreant POS is equipped with standard management information system reports. Managers and executives can pull daily sales reports, sales summaries, drawer pull reports, and more directly from the system. The POS saves them the hassle of manually computing by automatically generating these reports for them. With Floreant POS, businesses can link as many printers they want to the system. They can even be linked together and customized as to what item will be activated in which printer. This links the kitchen with the front-of-house operations for better coordination between the two. Floreant POS gives users high control over how the system works. They can request to modify certain features such as the user interface and even the language. There are also different plugins they can add to the system. However, these features are already available for a fee. Organizations have unique needs and requirements and no software platform can be perfect in such a condition. It is futile to try to find a perfect off-the-shelf software system that fulfills all your business requirements. The intelligent thing to do would be to modify the system for your specific wants, employee skill levels, budget, and other aspects. For these reasons, do not hasten and subscribe to well-publicized popular applications. Though these may be widely used, they may not be the perfect fit for your particular needs. Do your groundwork, investigate each short-listed platform in detail, read a few Floreant POS reviews, call the seller for clarifications, and finally settle for the application that offers what you require. How Much Does Floreant POS Cost? We realize that when you make a decision to buy POS Software it’s important not only to see how experts evaluate it in their reviews, but also to find out if the real people and companies that buy it are actually satisfied with the product. That’s why we’ve created our behavior-based Customer Satisfaction Algorithm™ that gathers customer reviews, comments and Floreant POS reviews across a wide range of social media sites. The data is then presented in an easy to digest form showing how many people had positive and negative experience with Floreant POS. With that information at hand you should be equipped to make an informed buying decision that you won’t regret. What are Floreant POS pricing details? What integrations are available for Floreant POS? If you need more information about Floreant POS or you simply have a question let us know what you need and we’ll forward your request directly to the vendor.